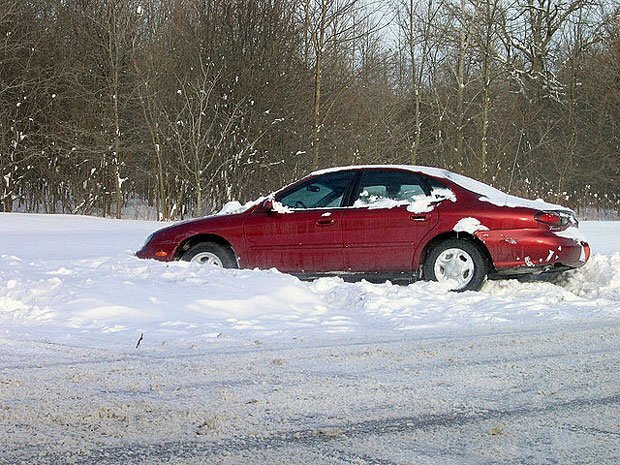 Salt and sand can help when your car gets stuck in the snow, but kitty litter will also work in a pinch to give you traction. Shovel as much snow and ice as possible out from the path of your tires, and then put a liberal amount of cat litter around and under the tire. 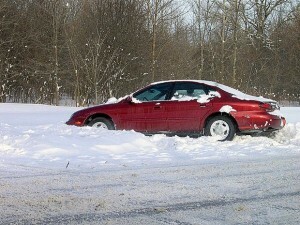 Then just rock your car back and forth, switching from drive to reverse carefully, until you get unstuck.